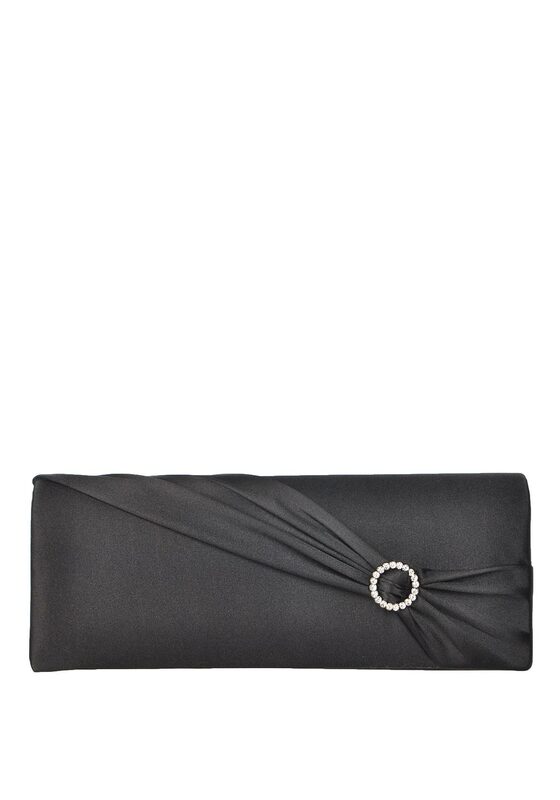 A classic satin clutch bag from Barino in beautiful black. Featuring a ruched front with a diamante embellished disc design, single button closure and detachable chain strap. Team with the matching satin heeled shoes for upcoming special events.